If all you knew about Nathan East was on which albums he’s played, or with which legends he’s performed in concert, you’d fail to appreciate the humanity that accompanies his talent and makes him one of the most respected and sought-after musicians in the world. 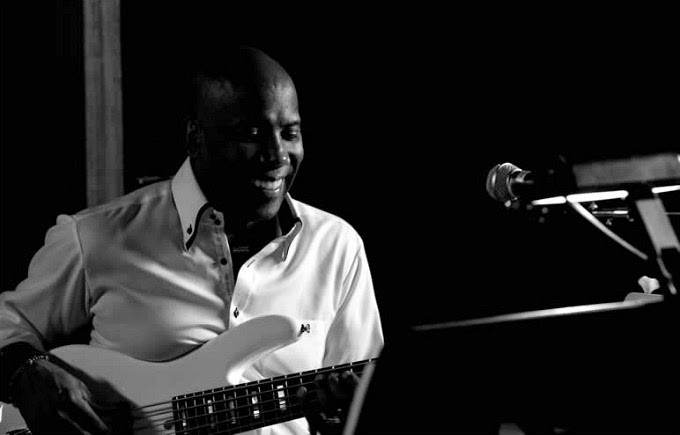 In a new documentary, Nathan East: For The Record, the veteran bassist is fêted by many of those friends, including Eric Clapton, Quincy Jones, Phil Collins, Al Jarreau, and Lionel Richie, among others. Ostensibly chronicling East’s life and career to date, the film centers around the making of his long-awaited self-titled solo debut, which was released in March of last year by Yamaha Entertainment Group. The album, which topped the Billboard Contemporary Jazz Albums Chart for four weeks — and owned the SmoothJazz.com Top 50 Album Chart for an unprecendented twenty-five weeks — is now up for a GRAMMY® in the category of Best Contemporary Instrumental Album. How did you react to seeing some of your peers and mentors sing your praises in the documentary? To be honest, I cried. I was at the first premiere in New York and we were going to do a Q&A after, and it took me about ten minutes to just regain my composure because I was just very emotionally moved to tears.... It’s usually a memorial service when all these guys are saying these things about you. And when I attend memorial services I think to myself, This person would’ve loved to have known that so many of these people felt like this about them and loved them and articulated that. So it was a very emotional evening — and obviously for many reasons — seeing my family in there, my son who played on the record, and then especially [drummer] Ricky Lawson, who was all over the record. That’s a very poignant part of the film that addresses his untimely passing. It really goes to show you that you never know… We’re not guaranteed anything. You can see the footage of us in the studio. There we are having fun and little did we know that was going to be our last project together. When you’ve been called on to play with artists who have influenced you and your musical tastes — people like Eric Clapton or Quincy Jones or Stevie Wonder — does it take some getting used to when you’re playing with your heroes? Well, to this day I’m grateful when those calls come, and the thing that I appreciate the most is that I studied these guys when I was coming up. So to hear from them, for them to become friends, and to work with them — even to this day — I’m saying to myself, “This is still amazing to me.” I still appreciate it. I don’t take any of it for granted. I appreciate their gift and the fact that they look to me to help them with their mission of getting their music out there really to me is still the highest honor. Because I do realize how much time in the early days I spent listening to Quincy Jones and Clapton and Stevie Wonder, studying these parts; my ear went to the bass and really they became part of my DNA. It’s a thrill, I have to say. It’s a total thrill and honor. I can only imagine how surreal it must’ve felt, especially early on, playing something like “Sunshine of Your Love” live on stage and looking beside you to see the guy who played on it originally. The intimidating part early on was I kept hoping in my mind, I hope what I’m doing is good enough. I hope he likes what I’m doing. Clapton seems very intuitive about what he wants musically and, at the same time, perceptive of those qualities in other players. As a matter of fact, I remember when I did an instructional DVD called The Business of Bass, and I interviewed a few of these guys like Eric, Phil Collins, Quincy Jones, David Foster, Babyface, producers and artists that I respected. I asked them what was the one thing they looked for most in a musician? The answer was unanimously the same across the board: someone who listens. Most people, they practice something in their room; they practice a lick. Now they’re going to go down to the band and play that. Without even listening to what’s going on, they’re basically just going to show what they’ve been practicing. That’s not the dialogue. The dialogue is listening. Eric has always appreciated when somebody can almost start to read his mind and know where he’s going to go and then meet him there. That’s one of the things that really, really makes music fun in playing and very interesting and keeps it special. In the For The Record documentary, Clapton describes you as being a good listener, actually. Yeah, he really appreciates that a lot. That’s one of the things — and I’ve been studying these guys forever — when I was coming up my ear would just go to the bass-line on all these tunes. And so when I was in Japan and playing the bass-line to “Taxman” and I looked to my left and there’s George Harrison. That’s crazy! George Harrison is sort of an anomaly in the sense that most fans have an idea of what kind of man he was, but they don’t know much about how he worked behind the scenes, particularly in his solo career. What was he like in the studio or in rehearsing for his 1991 tour of Japan? You must’ve felt incredibly privileged to be a part of that. Oh, yeah, a huge honor to be spending all day with a man like this or the band. You realize how down-to-earth these people are. You laugh and you joke and you break for lunch. You do the same thing you do at any other job, only it’s playing with a Beatle. George was very easygoing. He wasn’t too worried about everything. If you were in the general vicinity of the right notes and chords, he was happy. As our friendship grew, he would come over to my house here in L.A. and meditate, and I’d think, George Harrison and me, we just meditated together! It was one of those things where you just realize there’s no accident; this is a very special human being. It’s a privilege and an honor and a gift to be in the room with him. You say he wasn’t particularly fussy if you were in the vicinity of the right notes, but how was he on songs like “Devil’s Radio” or “Got My Mind Set On You”, ones that were as new to him to play as they were to you and the rest of the band at the time? He was as hard on himself as he was [on the band] because he was kind of learning the chords and re-learning things. He would sit there and go over the changes himself until he got it right. So it was kind of good because we could all learn together. That’s what rehearsal is for, to get everything worked out and then get it tight and ready to play for forty-five thousand people. One of your earliest breaks was working with Barry White. I never really thought he got his due for the sheer scope of his skills. He got pegged as an R&B crooner, but he wrote charts and orchestrations... His talent far exceeded that solely of a singer. You know what? Every note that you heard coming out of those records, he came up with. He would sing the orchestral arrangements to Gene Page that were going through his head. I learned how to write bass-lines from Barry White. I often joke that I went to BWU — Barry White University — because [of] spending every day in the studio with this man and watching him give every single person their part, from the guitar player to the drummer to two bass players. It was an education that I will be forever grateful for because I learned so much from him on how to create bass parts and how, just in general, to put songs together. You got to perform live with him, too. “Spoken intro by Barry White.” I liked how instead of songs with titles like “I Love You,” he’d write something like “It’s Ecstasy When You Lay Down Next To Me.” The titles had, like, fifteen words. Right! That’s pretty funny. [Laughs] Oh, I had no idea you were that tuned into him... I was a big fan. His music was just always around. I don’t even remember how I first got clued into it. It’s weird how music can do that. It’s like water or something; it’s always been there. That’s why I always say music is the most magical and spiritual event… You can’t touch it, you can’t smell it. You just feel it. Back when you were first trying to make your name as a session player, was it mainly by word of mouth that you’d become known to other musicians? Pretty much. Lionel used to say, “It’s kind of a business of stepping stones.” You really leave your mark behind as soon as you walk out of the studio door. So, whatever you do when you’re in there, make it stick because it’s going to be around for a long time.… Back in the day I’d go across the hall to do a session for the Jacksons. Then I’d jump in and do [one with] Lionel Richie. Then you’d have Phil Collins in the other studio. Clapton in another one. I mean, it was amazing. When you show up for a session now — let’s say you haven’t worked with this particular artist, so you’re only familiar with what you’ve heard on the radio — what is your usually your approach? It becomes a collaboration, a collaborative effort. A studio is really a place where the music is born, and unless they’ve written every note down and just have a complete, solid, concrete idea in their head that “this is the way it has to be” — which, it still doesn’t turn out like that — then you really take a blank piece of paper or a blank hard drive and it’s like you get your tools out and start painting. Then at some point somebody decides that, “You know what? This is ready. It’s finished. It’s produced. Let’s mix it, master it, and see what happens.” Normally when I come to the studio, it’s been everything from A to Z to where there’s a bass part completely written out there for me to interpret or there’s nothing and I have to come up with it, write it. They’re depending on me to create the bass-line for the song. You’re not going to wait long to do your next solo album, are you? No, we’re working on it right now. This has been the greatest experience connecting with Yamaha Entertainment Group and my buddy and partner, Chris Gero, who’s really told the story [with the documentary, For The Record] in a very classy way. I’ve got to say, he got me into the studio and between the two of us we really tried to come up with something that we would feel would be embraced by the world and do our best effort. Nathan East is available now from Yamaha Entertainment Group. Nathan East: For The Record is currently available to stream on Hulu.